Selene has created the ultimate owner-operated Explorer. 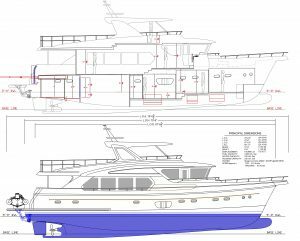 Three prestigious naval architects, engineering teams and designers have joined forces to create the ultimate owner-operated Selene Explorer. 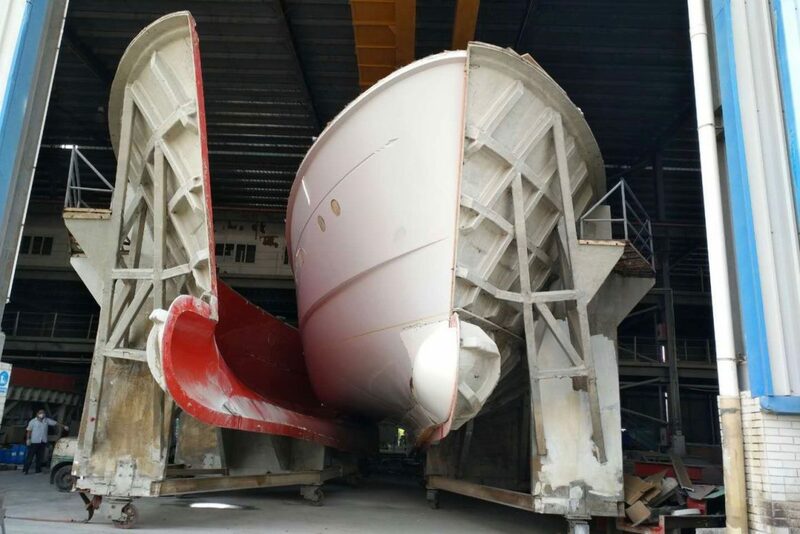 The hull of the very first New 72’ has just been released yesterday from its mold at the Zhuhai shipyard. The famous Dutch designer Guido de Groot, Selene Design Studio, James Fwu of JFNA in Taiwan for the CE certification design, including all the hydrostatic and structural design as well as the MEP system designs, have cooperated for several months to design this new trans-oceanic yacht which will be one of the aces of the Selene Ocean Yachts family. With a LOA of 79’, a beam of 10’-5” and a 158,688 Lbs displacement, this new Selene 72 is ready for world explorations in style. To the full beam master stateroom with its walk-in closet and three guest cabins, the Selene 72 adds a large captain and crews quarters aft with two cabins and private heads.The professionally laid-out and roomy engine room, with its effective sound-proofing, found on all Selene Yachts and its single Cummins 670 HP engine will offer a 9-knot cruise speed and a top speed of 12.5 knots with 3,000 US gallons of fuel. This beautiful 72’ yacht is the flagship of the Selene Explorer line. Once again, Howard Chen and his team have created an exceptional ocean going vessel with a moderate draft (6’-6”) ready for shallow water exploration. This yacht will be a head-turner whether you are cruising in a Borneo river, anchored in front of a Greek island, or cruising in the Princess Louisa Inlet in British Columbia! Beautiful and groundbreaking design. Cannot wait for the final reveal.